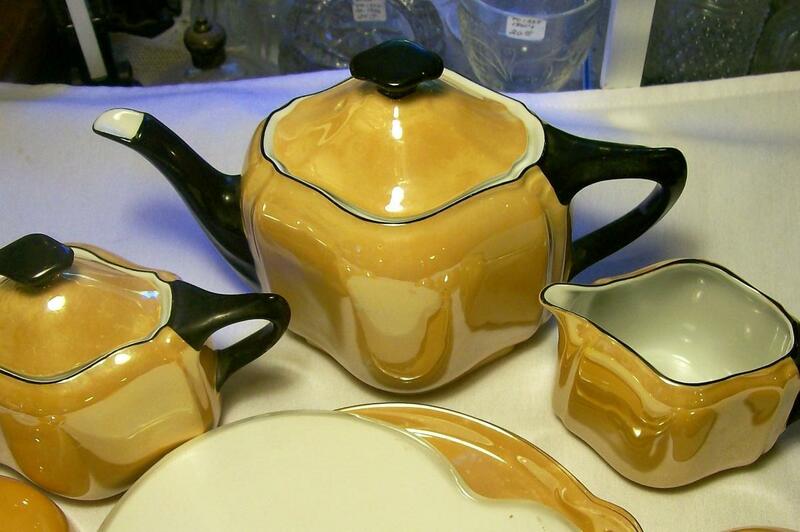 Orange luster tea set with black trim, made by Schonwald of Arzburg, Germany. 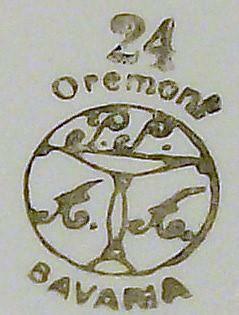 Marked "Oremont", circa 1920-27. Set consists of teapot with lid, sugar with lid, creamer, 4 snack plates & 4 cups. 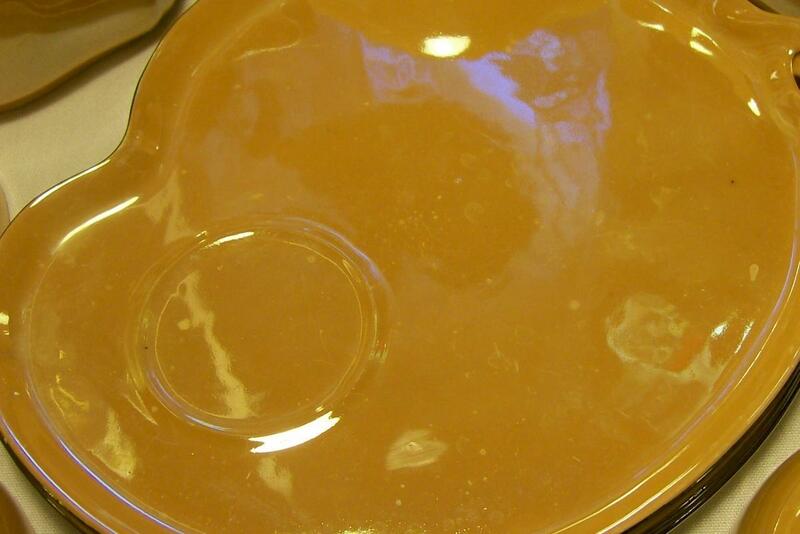 No chips or cracks; glaze flaws in the luster as shown include some skips, bubbles, etc., but very little actual wear. Please email any questions. Inglenook Antiques...Established 1989. 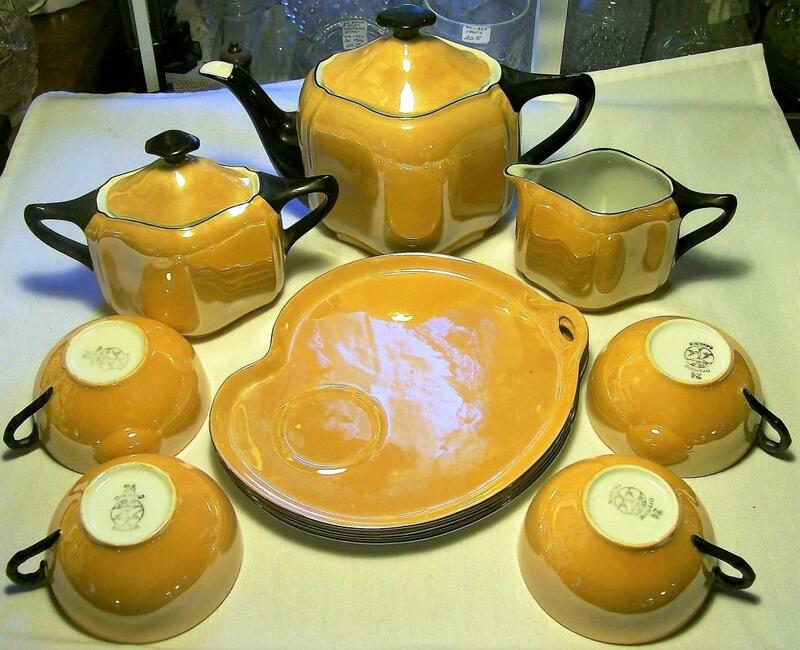 Items Similar To "Schonwald "Oremont" Orange Luster Ceramic Tea Set 1920's"